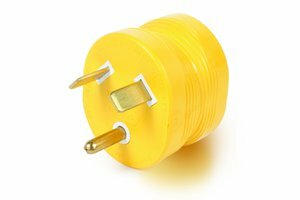 Camco RV 30M/15F AMP PowerGrip Adapter is an electrical adapter with a contoured shape for easy removal from outlet. It has a 30 AMP male end and 15 AMP female end. 125V-1875W.